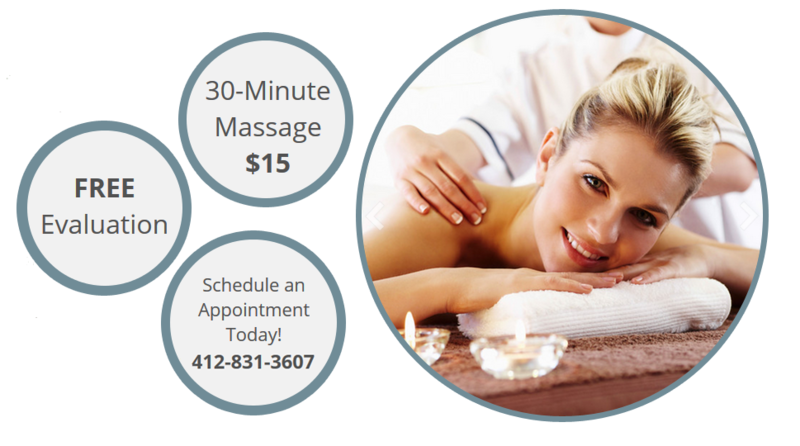 Falcone Health & Massage Center is a full-service massage therapy and massage center in Bethel Park, Pennsylvania. With a wide array of massage services available, our expert massage therapists provide relief for a variety of pains and conditions, from headaches and anxiety to muscle soreness, sports injuries, skin conditions, back problems and more. Combining chiropractic knowledge and techniques with massage therapy, Falcone Health & Massage Center provides massage services tailored to each person’s needs. Falcone Health & Massage Center creates a serene environment with soothing sounds, pleasant aromas and a spa atmosphere so you can enjoy your experience with all of your senses. Relaxation and luxury start from the moment you walk in the door. Each one of our staff members will help make your experience pleasant and memorable, from greeting you at the door to your massage or chiropractic therapy until you leave, refreshed and recharged. 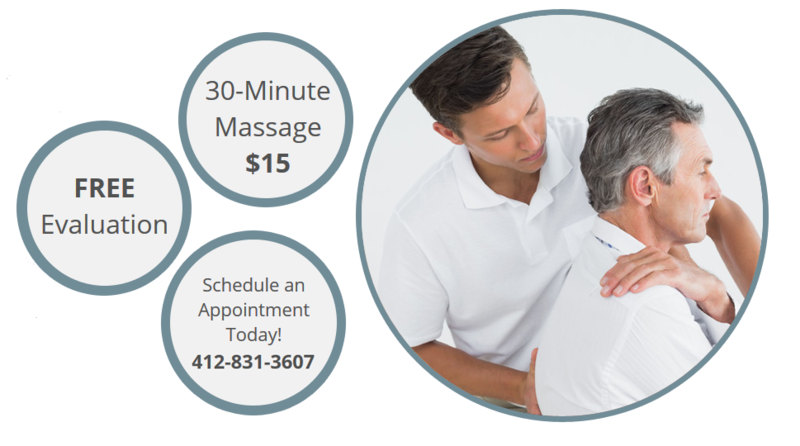 Falcone Health & Wellness Center provides massage therapy in Bethel Park, Pennsylvania, as well as chiropractic therapy. With expert massage and chiropractic therapists trained in a variety of massage techniques, we provide you with a therapy that targets your specific form of pain or discomfort and provides an effective remedy. Massage and chiropractic therapy can be used to treat a variety of ailments, including musculoskeletal conditions as well as headaches, anxiety, insomnia, skin conditions and more. These treatments are also completely natural and have no side-effects. While medications will reduce pain from chronic conditions, they also leave you in a fog. Massage therapy relaxes muscles, improves circulation, removes misalignments and eases muscles and joints into natural positions to stop the problems that cause or exacerbate pain or discomfort. Light massage therapy using pressure points relieves tension, stress and pain through specific areas on the body that connect muscles, joints and bones, while deep massage therapy lifts stress and tension and unravels knots held in the deepest muscle tissue. Chiropractic care works specifically with hard tissues such as bones and joints, most notably the spine, to physically realign and adjust problems in the skeleton. The spine and spinal column connect every part of the body to the brain and therefore any misalignments can cause issues. Chiropractic care realigns slight distortions in the spine to make clear channels and pathways to each part of the body, eliminating pain, creating more flexibility, facilitating blood flow and more. There are many different types of massage available and each massage technique can be used to treat varying conditions or simply to relax you. While massage therapy is a deeply relaxing and luxurious experience, it also has significant health benefits. Deep tissue massage and Swedish massage work through layers of muscle tissue that can become tight and knotted with tension. The massage techniques facilitate proper blood flow through these muscles, improving circulation which in turn improves the overall health of the muscle structure and gives you more energy and more flexibility. This also releases tension and anxiety held in these muscles, untwisting tightness and relieving pain between muscles, bones and joints. After a deep tissue massage or Swedish massage session you’ll feel rejuvenated, with stress, tension and pain relieved in every muscle. This physically relaxing experience will also allow you to mentally and emotionally unwind and recharge, so you feel better in every respect. Shiatsu massage and trigger point therapy use a different approach from Swedish massage and deep tissue massage. Shiatsu massage uses principles of traditional Chinese medicine that have been used for hundreds of years to relieve muscle pains, soreness, anxiety and a variety of other ailments. Using pressure points located across the body, the massage therapist relieves tension in the extremities, back, neck and chest. Areas in the body where muscles, joints, bones and organs connect create networks where tension, stress and pain will knot and build. Shiatsu massage and trigger point therapy use gentle motions to relax these areas and facilitate relaxation and circulation to the connected extremities and body systems. Through this, you feel tension and discomfort leave your body and you feel relaxed as well as reenergized. Falcone Health & Massage Center also provides massage services for specific conditions and ailments. Lymphedema drainage massage is specially tailored to treat the accumulation of fluid caused by damage to the lymphatic system or stress on the circulatory system. Removal of the lymph nodes and the formation of lymphedema may occur if the lymph nodes are removed due to certain cancer treatments. Lymphedema can also be caused by obesity and stress on the vascular system due to excess tissue. Lymphedema massage can correct and treat the effects of lymphedema and relieve pain caused by this condition. Our therapists also provide pregnancy massage tailored to reduce back and abdominal pain, neck aches, leg cramps, swelling and more. Our neuromuscular reeducation massage is tailored for spinal disorders and injuries and will help increase strength and flexibility, a range of movement, balance and more. Learn more about massage therapy and chiropractic therapy techniques used at Falcone Health & Massage Center. Call today to set up an appointment with an expert massage therapist.